A brief (auto? )biography - priceless! Normally I'm not into character assassinations just for the sake of knocking people, but I have written about this great injustice in the past. It was done to a Yid who was Moser Nefesh in the Soviet Union, and Davka by a man who calls himself a Rov and a thinker. I will therefore link to this blog and follow the updates closely. I think the Lifchitz family has been wanting to get some kind of closure for some time, and this may be just what they need. I do ask that we keep the comments to the topic at hand, and not turn it into an all-out "Rabbi-hunt." Reb Nochum Moshe Twersky of Kovel (seated left) as a young man posing with relatives, two scions of the Apter dynasty. 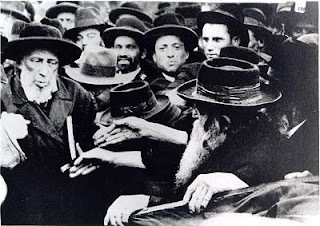 The Trisker-Shtefineshter Rebbe (seated right) and the Loytzker Rebbe, Reb Moshe Mordche Heschel. (standing) I think the suit and walking stick are classic, if only a bit ahead of his time as far as Rebbishe Kinder go. It's not exactly what you see from the Chernobler representative Rebbes of today like the Skverrer Rebbe of New Square and Reb Duvid'l Rachmistrivker of Yerushalayim. Then again, they too had different influences which weren't necessary "Chernobyl." 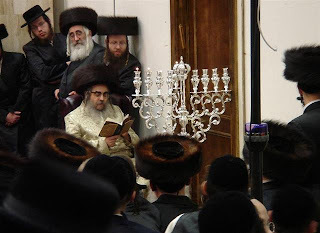 The Skverrer is very much Belz in nature; with Reb Yankev Yosef marrying a Belzer Eynikel and picking up lots of Belzer Minhogim, and the Rachmistrivker Yerushalmi for now five generations. Before I begin let me thank two very special Yidden, one who wishes to remain anonymous, and the other that hasn't asked for anonymity so I'll go ahead and thank him by name. 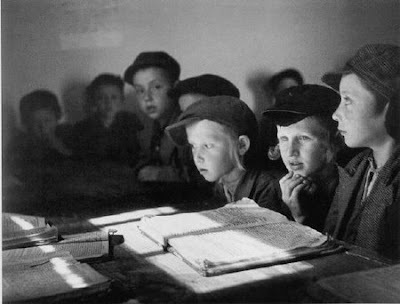 The first would be the anonymous one who showed me the book, "Admorei Malchus Beis Chernobyl" where the story is mentioned and the photo is featured. I had seen it a few years back but never allowed myself to buy it, with the fifty dollar price tag being the culprit here. The book is a treasure trove of both history and pictures of all Rebbes of the Chernobler dynasty, and I mean ALL, and there were MANY. The work that went into assembling it must've been mind blowing as well as back breaking. 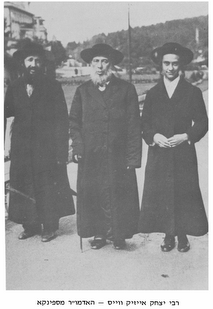 Reb Nochum Moshe Twersky (The Rebbe pictured here wearing the Tallis) was the son of Reb Velvele Rachmistrivker, and hence the Brother-In-Law of Reb Chaim Meir'l of Vizhnitz, who was Reb Velvel's Eydem. 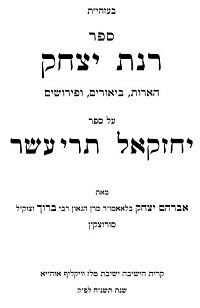 Reb Velvel was a son of Reb Yochonon Rachmistrivker, son of Reb Mottele Chernobler, son of the Holy Reb Nochum Chernobler, Talmid of the Baal Shem Tov and Mezrticher Maggid and author of Me'or Eynayim. Many thanks to Reb Yitzchok Twersky of Queens the co-author of this great piece of history, for sending me the picture of Reb Nochum Moshe'le HY"D.
The accounts and descriptions of the death of Reb Nochum Moshe'le vary, and are very much in doubt as of now, at least for me. 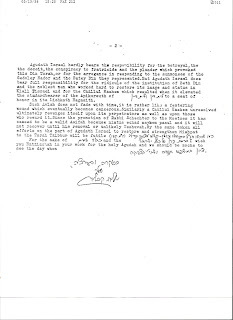 Alfasi in HaChassidus MiDor LeDor has him listed as dying at the hands of the Nazis Yms"h. He does not elaborate, but that's to be expected, since there are Hundreds if not Thousands of such deaths during WWII. 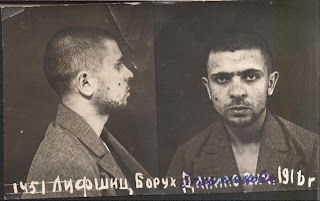 In the Kovler Yizkor Book, linked above, there's a mention of his death at the hands of the Nazis and their Ukranian helpers Yms"h. The Jews of Kovel were herded into 2 ghettos after the Nazis invaded and held there for a year's time. 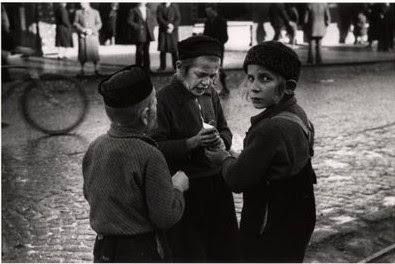 On the 17th of Sivan 5702/1942, a beautiful summer's day, the Yidden of Ghetto One were told to assemble in Brisk Square in the city's center under false pretenses, after being promised by the Roshei HaKohol that no harm would befall them. The Roshei HaKohol were lied to by the Germans, of course, and had no idea of the massacre that was about to take place. RNM was aware of their fate, however. He was killed AK"H with the Yidden of Ghetto One, not before speaking to the assembled. 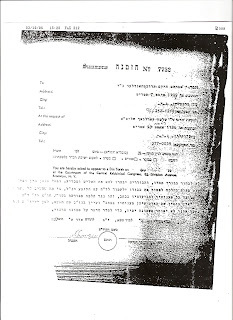 His words differed from those of Reb Elchonon Wasserman HY"D somewhat, in that he made no mention of the fact that they were Korbonos and should have only holy thoughts so as not to make their Korbon Pigul as REW did, although he did call for Achdus and for them to be Sameach that they soon will be Tachas Kanfei HaShchinah. RNMT was bemoaning their fate, and the fact that there never was a generation like theirs, a generation that would have nobody to say Kaddish for them. 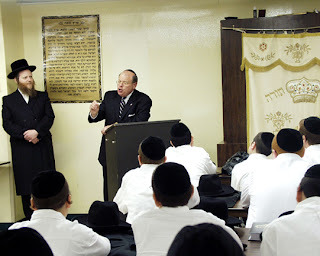 He made mention of the fact that the children, Tinokos Shel Bais Rabbon etc. Shelo To'amu Ta'am Cheyt, what was their sin? why were they going to be massacred too? He made mention of the beautiful summer's day, and how ironic it was that this was their day of being massacred like that. Quite contrasting speeches. A totally different account is made in the above-mentioned book Admorei etc. They bring the picture but add a very terrifying note to the occasion. 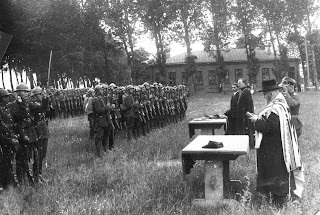 In an account related to the co-author by Rebbetzin Eichenstein of S. Louis, a niece of RNMT, she tells of a regiment of Russian Soldiers that entered Kovel and pitched camp there, and the general invited RNMT to come and bless the soldiers - I guess it was a mixed group of Jews and Gentiles. He told him to also don a Tallis for the special occasion, which RNMT did. At that event there was LeHavdil a Catholic Priest as well, since Kovel was seemingly a Catholic town that was inhabited by ethnic Poles, and one can clearly see that the Rov's table was pushed back so as not to be parallel with the Priest's "Chas Vesholom." RNMT begins to bless the soldiers when suddenly the General shouts "Ready!" "Aim!" "Fire!" and RNMT is shot on the spot and killed by a hail of bullets! One can clearly see how the two soldiers on the extreme bottom left of the picture have two fingers raised as if to count down to a "number three." The other soldier has his bayonet raised as if to pounce on an enemy combatant; he seems to be the only one like that. There are many reasons why I don't see this story as actually happening. Yes, he blessed the soldiers, but he wasn't killed at that time. Yet, for some reason this is the story that Rebbetzin Eichenstein tells, which I find very odd. There was a time, not terribly long ago, when disturbed individuals bent on broadcasting angry fantasies had only soapboxes in public parks from which to rant. And respectable people knew, if only from the ranters’ appearance, to keep well out of spittle’s range. Today, though, the very means of mass communication that enables so much worthy information to reach such large numbers of people at the speed of light – the Internet – has also been harnessed to spread madness, hatred, lies and (not a word to be used lightly but here entirely appropriate) evil. And so, close on the heels of the swindlers and pornographers who have colonized so much of cyberspace, have come the gaggle of electronic soapboxes known as weblogs, or blogs. I usually refrain from mentioning internal Lubavitch politics, simply because I'm a partisan hack, but I believe this needs to be put out there. I hope and pray that the leadership of the two Organizations, Agudas Chabad and Merkos L'Inyonei Chinuch, doesn't blow this great opportunity to bring a semblance of sanity to the Rebbe's shul, and to make 770 Eastern Parkway a place for all Jews, not just a few of them from Safed. You thought I was done with Chaim Berlin and its leaders, eh? 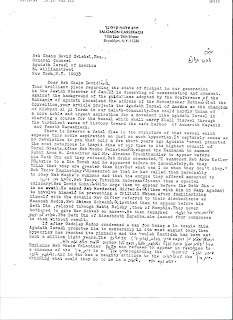 the truth is I thought I was too, but some of the recent comments in the dialogue between "Enquiring Jew" and "Chaim Berlin Tragedy" needed to be brought to the forefront because it sheds light on the mindset of the man and the movement he created in America, as well as shows us what he thought of himself in the scope of the other Gedolei Yisroel, and how needed to react to their actions. One would think that these approaches would be found only in the Chassidishe Cheyder, since Chassidim were always accused of considering themselves "above the Torah" ch"v. Later comments where the whole seder of Baalibatishkeit and Kedimah in saying Maamorim and visitation rights between Reb Aron Schechter and Reb Yonoson David also need to be addressed, but we'll leave that alone for now. Fascinating stuff for those not in "the know," I must say. 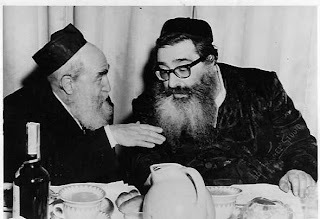 Chaim Berlin Tragedy said: "However he (enquiring Jew when he says that "no frum Jew ignores an Hazmonoh from the Godol HaDor) overlooks one very big point, that CB considers Rav Hutner to be THE Godol HaDor and that Rav Schechter is likewise bigger than Rav Moishe. To CB , Rav Schechter is the "chad bedora" in America, and after Rav Elyashiv ein od milvado! So they are not answerable to anyone bazman hazeh, and hence Rav Carlebach's claims are meaningless to them. You may as well use all the hazmonas as toilet paper. He is just another Hutnerian who ran afoul of his Rebbe. 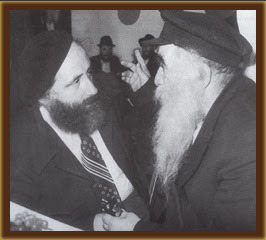 They know that Rav Hutner said on him the words of the navi; "bonim romamti vegodalti veheym pash'u bi..." He adds: "CB holds that by the time Rav Hutner was a zoken, he was bigger than Rav Moshe and bigger than anyone and that he was in effect the true RashKeBehag. Aai, the world didn't see it that way, so too bad, the world has a lot of catching up to do from the CB point of view. CB also regards Rav Aharon Schechter as bigger than anyone. From inside CB it was held that Rav Hutner was already mekabel that Rav Schechter was even bigger than himself. This is a key point. That Rav Aharon Kotler answered Rav Moshe's call means nothing to CB, they consider Rav Hutner and even Rav Schechter to be bigger than Rav Kotler and Rav Moishe combined. The world may not accept or grasp this, but to the anshei shlomeinu of CB, Rav Schechter is Chad BeDora, and he need not answer to anyone. As so far as CB is concerned Rav Carlebach is a mored bemalchus and the halachic response to that is as close as ones comes to "warfare," and not by responding to Dinei Torah. In this scenario a mored bemalchcus must be crushed and humiliated to pay the price for his rebellion against the lords he had once sworn allegiance to, and to focus on the Din Torah aspect of it is nisht tzum zach." Those of us in Lubavitch who have some inkling of what goes on in YRCB knew and still know that everything that went on there was meant to keep Bochurim away from Lubavitch. Lubavitch was nearby - with the Yeshivah in Brownsville - and it offered something that many of them were after, Machsheves HaChassidus as well as a very learned and charismatic Rebbe, eyb m'meg azey reyden. The Rebbe and Toras Chabad were the greatest threats to Rav Hutner's existence, so he made his own little Branzhe, complete with Maamorim (coincidence? I think not) a door with a buzzer (silly as that may seem), and the list goes on. The whole idea that the Rosh Yeshivah of YRCB is the new Chad BeDorah and "Godol HaDor" no matter who he is seems eerily familiar to the concept of the Rabbeyim of Lubavitch being Nesiyei HaDor. The case against Barry Gurary is also brought up by the CB defenders to somehow compare the two when a Ben Chomesh LeMikroh can clearly see the difference. However, the idea that the man now occupying that spot is also above the (Torah) law is a new concept in Yiddishkeit that seemingly was cooked up in Stone Avenue in Brahnsville Gubernye. I'd be interested to know how that was first accepted by the young men there; was there shock and indignation first, as is to be expected, or were they so enthralled to be a part of this that they totally forgot about the laws of the Torah that they came to learn and became CB "Yes men." I need to make up for the time lost not learning last night. Hirshel Ohn Teyreh is Vi a Tzig Ohn Vasser. We have no choice but to take off work today, since the building's closed. Otherwise I seem to remember Rav Moshe Paskening that a Yid should not take off on Yom Eydom. Interesant iz how Davka the Chassidim, who speak so much about Kedushas HaTeyreh, and the great Keyach Teyreh has to overcome all obstacles, and how learning needs to be done BiKdushoh UvTohoroh, worry so much about the birth of a man 2000 years ago and how his adherents draw spiritual strength from Jews learning Teyreh for those eight hours. Our friends the non-Chassidim have more faith in the Teyreh it would seem; they're not worried about foreign influence or such matters. I also have noticed that it's quite popular amongst some people wearing Chassidic garb not to worry about Nittel either. These are today's Oofgeklerte Chassidim, who don't believe in the "unimportant" things. In any case here are some links to keep the conversation going. M A Friedman's daughters want to learn but the school in Vienna won't allow them in. Beis Din's orders. It seems like they don't like the attention he brings them with his visits to Iran, bringing his kids and all, so they decided to banish them. Poor kids. We can argue the point whether or not they need to suffer for their father's indiscretions. I wear the same cap you do on weekdays for the last 40 years. (Of course, once in a while I change the cap, my last one was stolen by areylim.) But this (what you wear) is not a kasket, check out the caps the Chofetz Chaim , Reb Simcha Zelig Riger, Reb Mendel Futterfass, or the son of the Bobroisker wore and you will see the difference, but I agree that in unzer zayt it's close enough. Next, I too layder do not have the self confidence to wear it on Shabbes. After all in Russia this too was the Shabbes dress. The Rayyatz wore this on Shabbes before becoming rebbe and all Chassidim did. 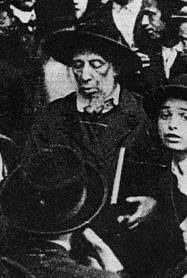 Did Reb Mendel or Reb (Ber'ke) Chein put on a Hungarian Rabbonishce hut on Shabbes !!! By not wearing it on Shabbes you and I are modeh b'miktzas, we are really undermining our case for the kasket as the authentic hat of Lubavitch and Russian Jews. Let's wear it on Shabbes and be machzir atore liyoshna. Did you see in the sefer of Reb Yisroel Jacobson what he quotes Reb Nissan as saying when they switched hats in Poking in 1946 ? Next, one can purchase a much more "legitimate" kasket i.e. 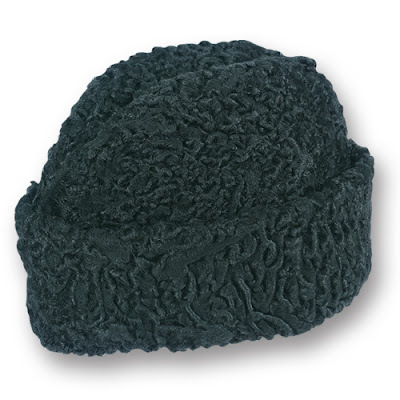 a cap that looks more like a kasket than what we wear. I have at least 4-5 of them. Firstly the store URBAN OUTFITTERS usually carries caps that look like kaskets with the brim vechuli. They are not always in stock. I have several of them in black. There is also a Kangol cap that is mamash like a kasket years ago I bought it in Tel Aviv and my late father a'h seized it and told me he ws unhappy that I wear it (later I found out that it reminded him of his father who was murdered by bandits in Kurenitz prior to the Holocaust) and my father wore it himself ! He even wore it on Shabbes, having gone through 5 years of Concentration camps my father cared little about public approval) I just bought one a few years ago in the West Village in black. I do not wear it because of the hakpodah from my late father . The Mao cap sold very cheaply in several stores in China town is also very much like a kasket, it comes in various colors including green. Reb (Zalmen) Duchman in Leshame Ozen describes the Rayyatz as wearing a green hat in a visit in Warsaw !) You can get one for under $5- Also I see online that Berkeley Hat Company, a wonderful store in Berkeley CA, sells "fiddler caps" i.e. "Greek caps" without the designs etc., that again are close to kasketen. So, lomir nit bleiben baim reiden, und machzir zayn die emesdike Yiddeshe levush. laughed at me. "We wore what we had," they said. The pictures prove their point. It's cold out, at least in my part of the world, and people are trying to keep warm. They say that the most important body part as far as keeping you warm is concerned is the head. Hence the sight of joggers wearing shorts in sub-zero temperatures; they're wearing warm hats and that's all they need. 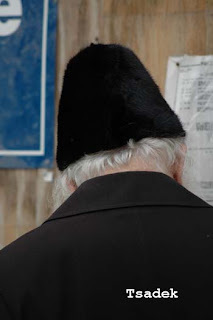 Even amongst Chassidim who are very Makpid on every aspect of the Levush and continue B'derech Avoiseynu still there's that need to keep warm, and the hard-brimmed hat doesn't cut, even with earmuffs. So, sometime years back the Kutshma was added to the allowed articles of clothing, although it was seemingly with certain restrictions. 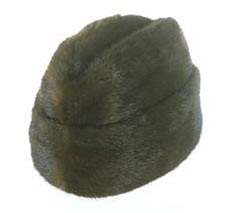 If you can't get a good picture of the kutshma in your head think Afghan President Hamid Karzai and that hat he wears. When I was growing up there was an unofficial rule about Kutshmas, namely that only men in their mid-30's and older could wear them; if you were younger you either froze your head off, had your hat fly around town, or wore those earmuffs with that darn string across your forehead. You just never saw a Frisher Yungerman wearing a Kutshma, although I'm not quite sure why. I guess creature comforts like warm head and ears are for older adults only. (The same could be said about the Homburg hat; you didn't see 20-somethings wearing them (except the Viener on Shabbos) and you definitely didn't wear it if you were a Bocher! ) Things have changed somewhat over the last generation; You now see Yungeleit in their 20's wearing Kutshmas as soon as the first cold weather hits, almost as if they were waiting for it and couldn't wait to change headgear. Maybe they're somewhat self-conscious of their everyday hat. Actually I know that some of them are, otherwise they'd never wear that awful-looking hat if they weren't forced too. Recently, the BaalBatishe ones have discovered the fur Kutshma, sort of what the guy in the first picture is wearing. I'm not sure what the idea is behind it; maybe it's supposed to match the wife's coat? Which brings me to my dilemma. I wear a kasket, like the one pictured here. I wear it all the time during the winter, besides for Shabbos obviously. I'm also quite self-conscious, I like it when I fit in somewhat, and I don't like to be the center of attention. It seems to me that I get much more attention than I should be with my Kasket. I get comments and looks from friends and acquaintances when they see me wearing it the first time, and I don't like that. I see young guys, some with Aroopgelozte Payos, many younger than me, wearing that blasted fur Kutshama with the foot high point and I wonder why. Why is it OK for him to wear what he wears but my Kasket- which is much more of a Yiddishe Levush, since Jews have been wearing them for over a century at least - that's not. The Kutshma is a recent invention, although in Yerushalayim they have a similar one which the "Toldos" wear. But that's a more rounded one, without the split and high point. So, if it's a recent levush why then are we allowed to wear it, and why is that considered more acceptable than the traditional Kasket?! Parshas VaYechi (or Parshas "Yechi" by the Meshichisten) brings back fond memories of years gone by in Spinka Cheyder, where all week long we'd study and review the VaAni, as well as the Birchas Yakkov. For those who may not have merited to have a "real" Jewish education I'll elaborate. As you know the Posuk ואני speaks of when our Patriarch Jacob rises from his bed to bless his grandsons, Menasseh and Efraim, the sons of Joseph. Upon blessing him Jacob begs forgiveness from his son Joseph for asking him to take him back to the Land of Israel when he passes on. The reason he needs to ask forgiveness is because Joseph's mother - the Matriarch Rachel - did not merit burial in the Cave of the Patriarchs as did her sister Leah, rather she was buried at the side of road in what was later to become known as Rachel's Tomb in BethLehem. The song is a combination of the actual text, as well as quotes from Rashi and Midrashim that explain the whole monologue that Jacob said to Joseph. The whole thing is sung with a nice tune that once taught will remain with you forever. It also incorporates the Grobbe Finger quite alot, IIRC. My only question is why so much effort and time is put into teaching and reviewing the VaAni and Birchas Yaakov with the Niggun etc. The same may go for Akdomus, why the need to spend 3 weeks learning the Teitsh? I guess that somehow yesterday's developments in Los Angeles were brought about by my writing about them just the day before. Commenter "snag10" in yesterday's comments section called him a sc--b-g. Very nice of him to say that, I guess only those darn Chassidim do this, right? The truth is I was thinking how I should be affected by that story, and I feel that I am affected, even after all those years, since I still have some connection to them. After all Girseh DeYankusa is no small matter, and it was under those auspices that I got that Girseh, some of it that'll never leave me. Which brings me to another point; What's with the Koach HaPoel BeNif'ol? How was my Yiras Shomayim affected by that money, and was my education the equivalent of all those Mosdos in the Holy Land that are Korea LeBaal (like the Kanoyim like to say,) and is Yesudosoy BeHarrerei Not Kodesh? Can I somehow blame my lack thereof on this? There is a Vort to that effect from the Rebbe Reb Meilech zt"l, about children not turning out "Vi es darf tzu zein" because they were raised on Gegazelete Gelt. I realize this isn't Gegazelt, since it's only "evasive Gelt," but still, altz "Dina DeMalchusa Dina" it must have some kind of adverse affect, no? But I digress. They've come a long way since I was there. When I left after Kitah Tes they were experiencing a downturn in the Mesivta, and the Yeshivah Gedola. I had already left the Cheder building so I don't quite remember what was happening on that end. Today's highly successful Kolel was getting underway, it had a few good years under its belt, but nothing like it is today, the largest (I think) Kolel in Boro Park, no small accomplishment. The Cheder happened to have a very good name when I was there, with an emphasis on instilling good Middos in students, albeit by using the stick sometimes, - OK, more than sometimes - but still, that was the idea, to raise good, well-behaved kids. They did succeed to some degree; we weren't the Vilde Chayes that kids from other Chadorim were known to be (that's me as a Spinka Cheder Yingel talking, not as a Lubavitcher) yet we were almost as "Chassidish." In camp we played Baseball - at least we tried, and we went on all kinds of trips, including "major trips" to places like Dorney Park and HersheyPark. Yet we still spoke Yiddish while playing ball (which is a good thing) and had a serious learning schedule in camp too, complete with Rebbes - the same as all year round(! ), wearing Chalatlech, and close to 6 hours of learning. Then, some years later, things began to happen that signaled the end of the relatively normal and easy going days in Mosdos Spinka, they realized they weren't "frim/chassidish" enough. You may ask: "Why do you go on about what they did in class and camp, why is this pertinent to our discussion about current events?" It's very simple, friends, it's all part of the same problem, and all are symptoms of the same disease. It's no coincidence that as soon as the supposed "frumkeit" set in so did the Dreidlach and funny business. The times coincide with the passing of Reb Yankev Yosef, so maybe that's the reason for the changes, I don't know, I was a clueless kid, really clueless. At first they discovered new dinim in Shulchan Aruch like prohibiting live music in Camp. For years we had the Stoliner Kol Rinah band (lead by Mr Klitnick on Alto Sax!) play in camp on Motzoei Shabbos Nachamu as well as the last night of camp at the banquet, then one year it was decided that we had a churban beis hamikdosh and were forbidden to dance to live music. There are many more examples, but I don't want to bore you all with details. The clientelle of the Yeshivah soon started to change as well. Gone was the Boro Park kid that had a Hungarian/Chassidishe background, and in came the "Tchoolent Tup," and the Tchoolent Tup likes things his way. At the same time all kinds of shvitzers started to work at the offices there, and as Gaboyim there, and that spelled trouble. These characters started to bring to Spinka methods they learned in other circles, and the result is the events before us today, terrible events that are destroying families. The Spinka post from today is on hold for now. You try and not attack and people see what they want to see anyway. I guess I have only myself to blame. Summary: Hirshel's Telzer Talmid father gets married and moves to Brooklyn, New York. He learns part day and gets ready to earn a living as well. He later has a son and at first sends him to a small pre-school run out of a local shul in Boro Park. After pre-school the child needs a real Yeshivah, so he asks his old Yeshivah buddy who also has sons where he sends his kids, and if he'd suggest it for his young son. The friend suggests Spinka Cheder in Boro Park, then in it's 3rd year, and his suggestion is the final choice. Thus begins a turning point in the family direction for years and maybe generations to come. You see my friends, had my brother - and subsequently all of the "Tzig" boys - been placed in a place like Ch'san Sofer or Vien or some other "Pareve" Cheder things most likely would've turned out very differently. 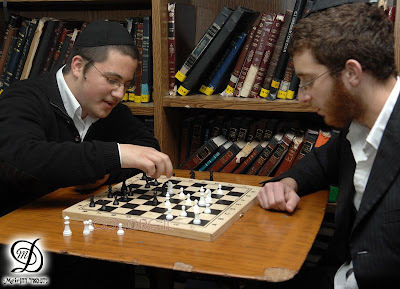 Since there wasn't a very strong Chassidishe direction at home the boys could've decided not to pursue the Pseudo-Chassidic/Hungarian way that they were taught at Cheder/Mesivta, but could've chosen other ways of life. Litvish, could've been one choice, since many of our friends did end up transferring to Yeshivos like Novominsk, where despite there supposedly being a "Rebbe" is run like a Litvishe Yeshivah, and we could've followed in our Dad's footsteps and been Goleh to a Mokom Torah like Telshe. But alas, the decision to choose Spinka had and continues to have all kinds of affects, to this very day, some adverse and some positive. This is not to say that Spinka is really to blame, since most of the Melamdim were Satmarer, and the Menahel was a 20-something Bobover Rebbishe type who happened to be the Rov's BIL but was probably the most qualified man for the job anyway. Yeah, right. But they put their name to the Mossad, so I guess it was what they wanted in a school. Spinka was what you might call a school that suffers from SatmarInferioritis, a disease suffered by mostly Chassidic groups whereas they feel inferior to Satmar and decide to take steps to bring themselves up to par with the above-mentioned Hungarian group. So they embark on campaigns to ban this and disallow that, and to encourage this and condone that, but there's no real Toychen, Chassidish or otherwise, that they "pushed" like, say, Stoliner Cheder, which did succeed in creating their Chassidus in America, mostly from Litvishe boys who learned in their Cheder, by pushing Stolin in everything they did. Then again, Spinka doesn't have what Stolin has as far as history and appeal either. And so the years went by with very little direction, we were taught was that Peyos need to be Vos Lenger, and that we should speak Yiddish, and most of us did, myself included. We had mostly Satmarer Melamdim, or those of the smaller satellite groups, and the education was very Hungarian with Chassidic overtones, meaning that most of the stories and Divrei Torah were of Chassidishe Rebbes of yesteryear. We traded Rebbe pictures instead of baseball cards, and we spoke with an Hungarian Chassidishe Havoroh. We all looked forward to growing up and dressing Chassidish, the more Chassidish the better. But speaking Yiddish and having long Peyos only takes one so far, a boy needs a sense of direction, otherwise he floats on the open sea without a compass, going where the wind pushes him. That we never really got at Talmud Torah Imrei Yosef D'Spinka. It's safe to say that the same goes for many other Chassidic Chadorim in BP, you have thousands of Shtreimlach walking around today that know very little about any Chassidus, and many never want to know. As far as I was concerned here's what I went through: (I'd get the other side of the story - from the Rebbes and Menahalim - but I'd rather not meet some of them, VeDal.) I was a good kid who did quite well in Cheder, never really made trouble and was well liked by both Rebbes and classmates. I guess there wasn't much a choice; if you didn't stay in line you were reminded with petsh, starting all the way in Kita Alef. I learned well, and did what I had to, and was probably on my way to be a generic Chassidishe kid, with Geknippte Peyos behind his ears, a turned up hat, and a Shtraymel on Shabbos. My father ZGZ was a self-made who never was a Chossid of a particular Rebbe. As a Bocher he would travel to New York to spend YomTov with an uncle in Crown Heights, and together they would walk to Williamsburg to spend davenen or Hakofos with the Satmar Rov. In the early married years he would travel to the Satmar Rov zt"l to seek his advice, and was also Zoche to have a "long" 7-minute talk with the Lubavitcher Rebbe zy"a in 770 after Mincha. Other times found him - and me - in Skverrer Shtetl seeking the advice of the Skverrer Rebbe shlit"a. None of that translated into him becoming a Chossid of a Rebbe that I could follow. 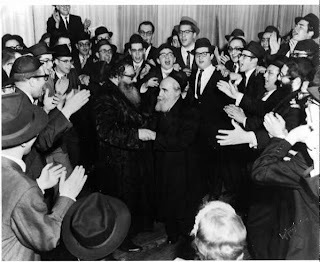 Spinka did have its own Rebbe, Reb Yaakov Yosef Weisz of Bnei Beraq/Boro Park, and for a while - in my early teens - I was a Spinker Chossid, even davening Spinka Nusach and doing Spinka Minhogim as best I could, after all, even I realized that I need some kind of path in life. The old way of "just being a frum Jew" seemingly wasn't an option for me, and I needed a group to identify with. But I never had or felt like I needed a connection with the Spinker Rebbe. After 10 years in Spinka I decided that the place was no longer for me, it was becoming more and more like a Satmarer Yeshivah, being that this was Mesivta already , and many of my friends had left for other Yeshivos. Follow the money trail, boys. See, if I was Aish I'd sorta, kinda, be embarrassed of this article. After all, you don't want to answer questions like "where does all the money go?" or "why the need to charge for public viewings of films fully paid for?" But I'm probably overestimating the intelligence of the average Shmoe in Flatbush/Five Towns, those questions never get asked. 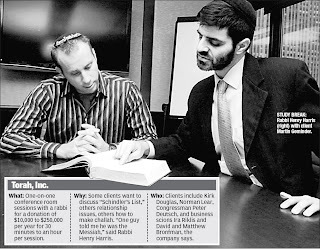 Also, I'd wonder where the big Mesiras Nefesh is for a guy making three times what the average shlepper makes - $125,000 for a "Rabbi" like Henry Harris pictured here - to go learn with an executive for half an hour. Then again, they're representing Torah-true Judaism, and I'm not, so I guess they're entitled to 500 dollar suits and a 50 dollar haircut. Also the young shnook executive probably feels better learning with a well-dressed guy than with a overweight guy with a straggly beard, no? I'm glad I'm not part of what they're selling. Today is Hey Teves, the day that the Court decided the case of Berke Gurarie vs the Rebbe in favor of the Rebbe. Chassidim continue to celebrate this day, but many are clueless as to its significance, and think it's just about the Seforim staying right where they are now. Not exactly. Children are taught the "short version," i.e. that the books came home, but that's a side issue. Others think that it's some kind of personal victory over a disgruntled "bad apple" in the family. No, no, no. I may have mentioned this before, like maybe last year this time, but it's a point that's worth repeating. 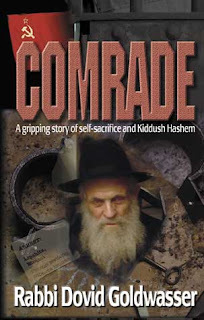 The case brought against the Rebbe was one Thirty-Five years in the making. Berke and Chana Gurary never came to terms with the fact that their father/husband wasn't chosen as successor to his father-in-law after being the first SIL and being groomed to be successor for years. Yes, it started with him stealing books like a common thief, but the result was a claim on leadership. The fact that Rashag accepted his fate and didn't go off and start another Lubavitch is to his credit. That never would've happened in today's day and age. The result of the ensuing court case, and the victory enjoyed by the Rebbe and Agudas Chasidei Chabad, is that today there's at least some semblance of order in Lubavitch, at least as far as the umbrella organizations are concerned. Were it not for the fact that Chabad was re-incorporated and brought into the latter half of the Twentieth Century allowed for those that were put in charge by the Rebbe to be on guard and make sure that at least the main arms of Lubavitch are run in some sort of organized manner. Also, it allowed for the building at 770 to remain as a functioning shul and for the offices to continue to occupy them. If G-d forbid the court case would never have happened, that is to say that it even would just be resolved in Din Torah, then after 3 Tammuz the honorable Berke G could've claimed it all and booted everybody out. The lack of an organized Religious Corporation could easily have by default made it all belong to his grandfather, and by extension him after his father's and the Rebbe's passing. That, combined with the fact that the Rebbe was dragged through the mud by an unhappy man who was Merachek the only man who ever gave him the time of day, is reason to celebrate for all. 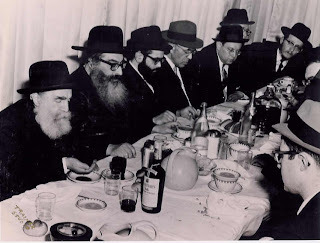 After trying the CRC Reb Shlomo went to a B"D he knew they couldn't refuse, the Agudas HoRabbonim, UBeRoshom HaRav Reb Moshe Feinstein zt"l. After all, Reb Moshe was the undisputed Godol HaDor in America and had attended the late Rosh Yeshivah's daughter's wedding and had gotten Bentshen and/or Sheva Brochos. He was held in high regard by all (except maybe Satmar) and would surely not be refused. But sometimes even the GH can be refused. Maybe it's the way they did things in East New York/Brownsville; you did what you had to just to survive, and going to D"T would've been the end for them. So they ignored and ignored until the Godol HaDor VeChaveyrov passed on, and the world was never the wiser. 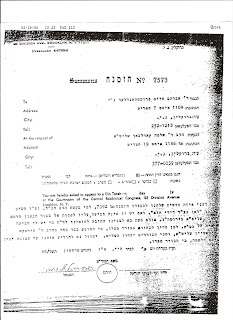 Letter signed by the B"D of Agudas HoRabbonim demanding that RAMS and the President Mr. F appear before them within two weeks. Also, that YRCB retain the services of RSC and pay him his salary as normal. 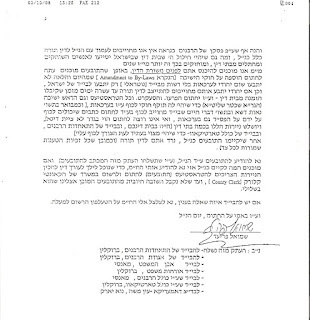 This is referred to in the letter by Rabbi Fried to the leadership of YRCB. They also were forbidden to hire another Mashgiach/Menahel Ruchani in his place. I guess that's one Psak that Reb Moshe was wrong on, eh? I think we can safely assume that the Council of Torah Sages of the Agudath Israel of America is in defiance of their fromer leader RMF simply by installing RAMS as a member of that Rabbinical body. Shein, no? 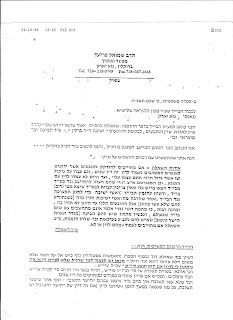 Rabbi Carlebach voiced his opposition to that appointment, and in a letter written to the honorable and venerable Reb Chaim Dovid Zwiebel, Esq. he voices his great displeasure. Invoking the names of former Moetzes members RAK, RYYR, and RYK only strengthens his point and increases the irony that the same group would go ahead and do that. I guess we can safely assume that the reason RAMS was only installed on the MGH after the passing of the above-mentioned members is because they would never allow it were they alive. It's times like this that makes one realize how irrelevant the group has become, and how its sole purpose now is to promote itself, doing more bad than good after all is said and done, Metzitzah B'Peh not withstanding. There's nothing wrong with an irrelevant organization to fold up after it's run its course. The wagon drivers did it, albeit reluctantly, as did the blacksmiths. It's not they don't have day jobs, the MGH members, they're all Marbitzei Torah and Oskim Betzorchei Tzibbur. The Roshei Yeshivah can go back to being Marbitz Torah and Shtelling oof Talmidim, and the lawyers can go back to negotiating 1031 exchanges or living trusts, or closings on real estate transactions. Real jobs, you know? just like the rest of us. If they have this strong desire to help out the community how about volunteering for Tomchei Shabbos or starting GeMaCHs. After being unceremoniously thrown out of YRCB and KGA Reb Shlomo wanted to get his day in (Rabbinical) Court. He must've figured that them being Gedolim and all that they'd surely show up and he'd get what was rightfully his. At first Reb Shlomo went to the CRC aka Hisachdus HoRabbonim. Four Hazmonos were sent, two to R' Schechter and two to Fruchthandler - seemingly because the first were ignored. Le'eys Atoh Lo Higia LeYodeinu the responses to these Hazmonos, although they may have just roared with laughter and used them as spitball ammunition or for basketball practice. After a while he must've figured that maybe they're not being Goyres the Hazmonos because it comes from a Hungarian/Chassidishe Beis Din, so he went and tried again. Yeshiva Or Shraga Veretsky was once described to me by a parent of a Talmid there as "Chassidish Light." This Yid Shtams from Chassidim of the Lubliner (Eiger) Cheder, and is very proud of the fact. You might say Lublin in his blood, and he supports it wherever he can, be it by publishing Seforim or by Minhogim etc. However, he does live in Flatbush and his wife has zero connection to Chassidus, so where's a guy like that gonna send his young son? to Veretsky. This school has Chassidishe Melamdim, and maybe some of the teaching is done in Yiddish, but the kids are probably not told what to wear and where to vacation, if you get my drift. Hence the term "Chassidish Lite." That's not to c"v say that it's not a great school, I was just discussing the Chassidish part of it. The Cheder has seen tremendous growth over the last decade - I guess the above-mentioned Yid is not the only one - and there came a time in 1998 when they needed a new building to house all those students. 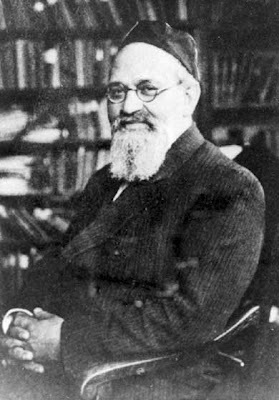 Mesivta. Now on Coney Island Avenue in Midwood there was a tire place called Adelman's tire. The Mesivta of YRCB had its eye on this building for the longest time, but was waiting for the right time. After all, the large campus is just up the block, and it would be only natural for them to swallow up that little building and add it to its portfolio of holdings in Brooklyn. In Boro Park terms that would be like the little Mirrer Minyan building next to the very large Gerrer Mesivta building, there too Ger would've very much have liked to get their hands on it, but the Alte Mirrer there would have none of that. The good people at YRCB knew that Veretsky would also like that lucrative piece of property, but they weren't worried, after all who would dare defy the monster? They also figured that Adelman would have to sell it at their price, well below market. That was not meant to be. Veretsky went and dealt with Adelman vi a mentsh and closed the deal. The reaction from YRCB was swift. 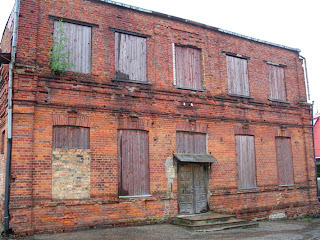 They called the Veretskiers to Din Torah, citing the Din of Bar Metzroh, and that they had first right to buy. Not to be outdone Veretsky said "I'll see you in (Rabbinical) Court.". Well, it seems like somebody at YRCB didn't do their homework, and they thought that this would result in a TKO for them, with the insignificant Chassidim going down like a house of cards. Well, my friends, I hope you didn't bet on the favorite here, although nobody could've expected this outcome. 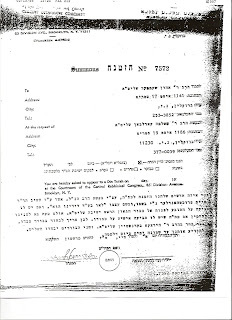 Veretzky was ready and waiting, and retaliated with the following letter addressed to the BD of Machon LeHoro'oh that had called them to Din Torah. They pulled no punches in the letter written by their Toyen, letting them know exactly what they thought of the leadership there, and why they don't need to show. "They're Mesarvim Laamod LeDin for 17 years and have defied the Godol HaDor (Rav Moshe Feinstein) by refusing to come to Din Torah. (He's referring to the D"T they were called to by Rav Shlomo Carlebach.) They're people who use violence to get their way, and are only going to Beis Din now since an issue of Halochoh and no court would disallow the sale of the building because of Bar Metzroh. 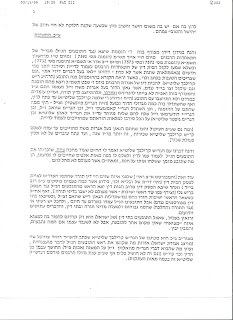 Having said that Rabbi Fried answers his question of "Does my Client need to show up in B"D at the behest of these people" by launching into an attack of how people who are Lo Tzayseh LeDinah one need not respond to their calls to a D"T, especially since they haven't done Tshuvah, and still claim that they never needed to respond to Carlebach's Hazmonos. Not only did they defy Reb Moshe Feinstein, but other Litvishe Rabbonim and Roshei Yeshivah, including Reb Yaakov Kamenecki, Rav Ruderman, and Rav Mordche Schwab z"l tried to get them to answer the Hazmonos to B"D but they would have none of that. 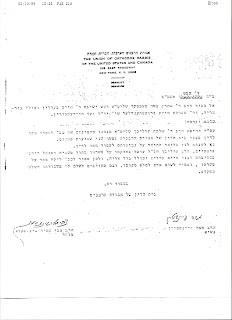 In addition according to the Ikkul issued by RMF the office of YRCB must continue to pay Reb Shlomo a salary, and according to that order they now owe him 17 years of back pay, as well as severance for his years of service, all of which total Hundreds of Thousands of Dollars!, and none of which was ever forgiven by Rabbi Carlebach. "They think they're "higher" than Torah and only use Botei Din where they think it'll be to their benefit." The good Rabbi was nice enough to provide the Machon LeHoro'oh B"D with copies of the FOUR Hazmonos sent by the B"D of the Agudas HaRabbonim to the Hanholoh of YRCB, as well as the letter sent by RSC to Chaim D Zwiebel, Esq. upon the occasion of the installation of Reb Aron Shechter as member of the MGT of the AI of America, where he condemns the appointment. Telz Cleveland today is a shadow of what it once was, with hardly a Beis Medrash program to speak of,despite the many Talmidei Chachomim who reside there. It is splintered and rendered utterly impotent by machlokes after machlokes and poorly resolved Din Torah after poorly resolved Din Torah. Ah, yes, we all knew that Chassidim are the fighters and do everything just for Kovod and power, especially those darned Lubabs. But Roshei Yeshivah? They do it all just LeHagdil Teyreh ULeHadiroh, all for G-d's Torah, with no ulterior motives whatsoever. After all, didn't the Alter of Slabodka send all his best Talmidim away to help start or strengthen other Yeshivos? Well, my friends, times have changed. Gone are the days when it didn't matter who was learning where, as long as M'hut Gelerent. Yes, there were battles about Ideology, whether or not to allow Mussar into Yeshivos, or whether or not to have a certain person say a Shiur there, but never like this, despite what may have happened in Volozhin in the times of Reb Chaim. Here's what I know about this Din Torah after Din Torah situation in Cleveland that Yehupitz mentioned and how it brought down the jewel of American Yeshivos. I'll readily admit that it isn't much, and I welcome any and all corrections. 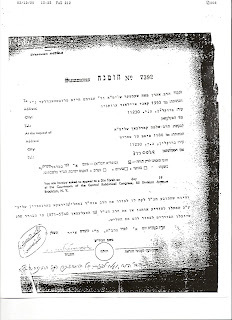 Telshe in America was founded by Reb Elya Meir Bloch and his former BIL Reb Mottel Katz who were here on a fundraising trip to help the Yeshivah escape the Russians who had just occupied Lithuania, and were therefore saved from sharing the fate of REMB's brother Reb Avrohom Yitzchok the Rov, his wife, his 4 kids, Reb Mottel's wife and 10 kids, and the whole town on Telshe with all Yeshivah Bochurim. So, in 1941 they set out for Cleveland to build what was supposed to be only the original Yeshivah transplanted there. 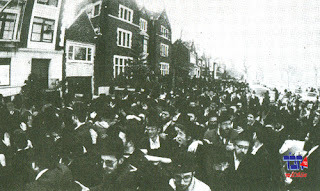 The Yeshivah had a rough beginning, starting with a few Bochurim from Baltimore and some European refugees, but later was quite Matzliach, and a decade or so later had a large student body from all over the United States, as well as from South America, and Sefardishe Bochurim from Morocco and other countries. A major Klap for the Yeshivah came in 5715 with the untimely passing of the founder and Rosh Yeshivah Reb Elya Meir Bloch zt"l at the age of 60, and it wouldn't so far-fetched to say that the passing was the beginning of the end of Telshe. 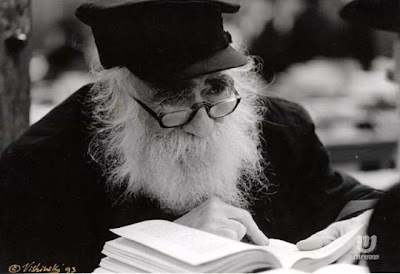 After Reb Elya Chaim passed away his BIL Reb Mottel was the Rosh Yeshivah until his passing 10 years later. By that time Telshe Chicago was well under way and this blogger's father was no longer in Cleveland. After Reb Mottel's passing we can easily say that Telshe Cleveland was no longer in "Telshe hands." Yes, there was Rav Gifter and Reb Boruch Sorotzkin, but the former was an American boy who traveled to Telshe, and the latter - although an Eynikel of Reb Lazer Gordon of Telshe - a Baranovicher and Kamenetzer Talmid, and that's surely not the same. 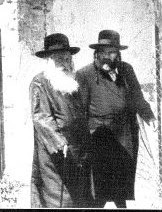 Since both Reb Elya Meir and Reb Mottel remarried after the war and passed away at a relatively young age they both had no children of age that could replace them after their passing. So, until today there are no Blochs or Katzs in Telshe Wickliffe. (Cleveland) Reb Elya Meir has a son Yosef Zalman, who lives in Monsey, and is somewhat of a character. Let's just say he doesn't go with the flow and was never offered his father's seat on Sherer's MGT. Reb Mottel has a son that runs the Kolel in Cleveland, but no Rosh Yeshivah shtelle. The Kolel is entirely unrelated to Telshe. Word on the street is that while Reb Boruch Sorotzkin was ill, an illness that he succumbed to, he asked Mechilah from Reb Y Z for not putting him into the Yeshivah, but Y Z refused to forgive him. What's so ironic today is that Reb Boruch's sons also have no Drisas HoRegel in Wickliffe today. Yes, they put Telshe on their resumes, but all that is BeKoach and not BePoel. The best line was about his son Reb Yitzchok's on Wiki: "Rabbi Yitzchok Sorotzkin is regarded as a dean of the Telz Yeshiva, but has sinced moved to Lakewood, New Jersey!" I wonder why.... Until last year Reb Elya Meir's SIL Reb D Barkin was there, but he never knew his Shver and I don't think he had a Shtelle there, at least not as RY. After Rav Gifter's passing the collapse was probably complete. I don't think many alumni could name you any of the current Roshei Yeshiva there, and for a place that had a very strong alumni association that's just plain sad. Wiki tells us tells us that Reb Zalmen Gifter is there today, so it seems like the Gifter takeover is complete. I imagine the Dinei Torah and Machlokes that Yehupitz speaks of is the Sorotzkin clan wanting what they see as theirs, and maybe the Katzs as well. I'm not sure what starting anew will accomplish if the Dinei Torah will continue. I realize now that they still have the Z'kan Roshei Yeshivos, Reb Chaim Stein, but I don't think he has any say in the Bayeles of the Yeshivah. The Blogger was helped tremendously by these fine articles. Somebody posted a Shmuess by the Satmar Rebbe, Reb Aron, about what his uncle the Satmar Rov, Reb Yoel zt"l said regarding "Nishtakchoh Toras HaBaal Shem Tov." He makes a Brisker Teyreh out of his words, and he's Mechalek between Toras and Derech HaBaal Shem, Derech HaBaal Shem is alive and well, he says, it's just the Torah that's been forgotten. He says some very pertinent and educational things there, and I think he explained some of the accomplishments of the Baal Shem Tov quite well, I just have some questions on what he does LeMayseh, based on what he said at that opportunity. He says that Derech HaBaal Shem Tov is that even simple people wear Rabbeinu Tam's Tefillin and other examples which I can't remember right now. (I can't find the transcript of the Droshoh right now) I'm also impressed and happy that he addressed the issue, and answered the critics of his illustrious uncle, which is what any MeMaleh Mokom SHOULD do, especially concerning an issue like that. These questions are pertinent to his year-round behavior, and especially so during the days (nights, rather) of Chanukah. One of the concepts found in Chassidic Courts was that the Rebbe is like the Kohen Godol and his house/shul the Bais HaMikdosh/Kodesh HaKodoshim. In Chabad the Loshon was Gan Eden HaTachton for the Rebbe's ante-chamber and Gan Eden HoElyon for the Rebbe's room. This is something found already in the days of the Baal Shem Tov, where his Talmidim were known to say that the Aron (the one from the Mishkon/BHM"K) is "in Mezhibuzh." Thus, Chassidim would bring all kinds of exquisite gifts of silver and money just as they did in the Mishkon/Botei Mikdosh, because the Tzaddik's use of these items is just as if it was used in the Bais HaMikdosh. The Holy Ruzhiner zy"a was the most famous of the Tzaddikim that lived "royally," even wearing gold boots and riding in a gold carriage, and dressing his children and grandchildren in the finest clothing money can buy. Another not-so-famous Tzaddik who lived like that was the Rebbe MaHaRaSH of Lubavitch who when asked why he used gold utensils and such said: Petach! (fool!) "Far vemen den iz gezogt gevorren Li HaKesef VeLi HaZohov?!" It's safe to say were it not for Toras HaBaal Shem Tov there would be no such concept of Tzaddikim living like kings on public money, being that what excuse do we use to use hard-earned money to buy luxuries like silver utensils and flashy clothing. Before Chassidus Rabbonim and Tzaddikim lived BiPerishus and barely eeked out a living, which is still the way many in the Litvishe world live today, to their credit, especially in Eretz Yisroel. I would assume that the idea of Tzaddikim using elaborate silver utensils and Chassidim giving elaborate Menorahs for their Rebbes to use is of Toras HaBaal Shem, not Derech HaBaal Shem, since it's not something that all Chassidim were given, although there may be a separate Derech for the Gutte Yidden. My question is not addressed to those that say that Toras HaBaal Shem is alive and well, they can continue to carry on in all aspects, even using large Menorahs and big silver decanters. My questions IS addressed to the Satmar Rebbe of Kiryas Joel: Rebbe, פארוואס דארפט איר אזא גרויסע מנורה פון פינף פיס, און א ווייסע בעקיטשע פון טויזענטער דאלאר? נישט נאר פארוואס דארפט איר, נאר ווי מעגט איר אויסגעבן געלט פאר די זאכען, אדער אננעמען אזעלכע מתנות? What Heter do you have to gouge out the eyes of hard-working folks that work hard yet have little to show for it? Please don't tell me about Hiddur Mitzvah, This has turned into some kind of Menorah show, and it's kind of revolting.